is a non-steroidal fertility medicine. It causes the pituitary gland to release hormones needed to stimulate ovulation (the release of an egg from the ovary). 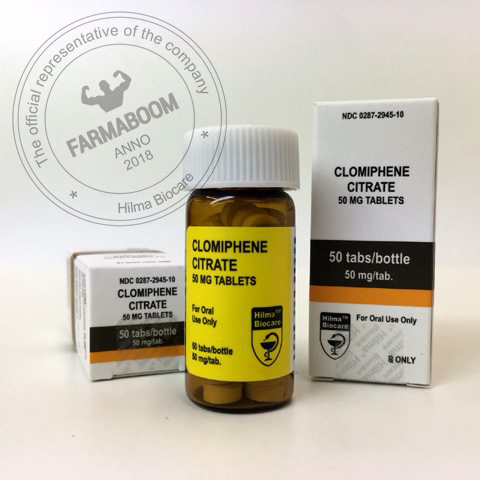 Clomiphene citrate 50 is used to cause ovulation in women with certain medical conditions (such as polycystic ovary syndrome) that prevent naturally occurring ovulation.Clomiphene citrate 50 may also be used for purposes not listed in this medication guide. CAS number: 50-41-9. Dosation: 100 tabs/bottle. 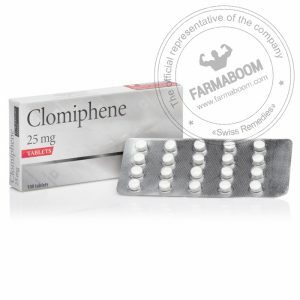 Clomiphene is a synthetic estrogen clinically administered to help women ovulate. Bodybuilders, (male) following AAS cycles, seeking to jump start natural testosterone production (or those that were simply seeking a natural testosterone spike) have used this drug with great success. Clomiphene increases activity in the hypothalamus-pituitary-gonadol axis by stimulating the release of more gondotropin from the pituitary gland. Therefore, a higher/faster level of LH (luteinizing hormone) and FSH (follicle stimulating hormone) results. This creates a signal to the leydig cells in the testes which in turn produce more testosterone and sperm. Normally with Clomiphene this took 5-15 days. Most started with 50-mg twice daily for about 5 days, then reduced intake to 50 mg once a day for 5-10 more days. Due to Clomiphene providing a fast response time, I felt it was often beneficial to use a dosage of 100 mg total daily for 5 days, mid-cycle during longer AAS protocols. This drug was seldom utilized for longer than 15 days continuously simply due to it being unnecessary. The goal was to normalize testosterone production post AAS cycle as quickly as possible so as to minimize post-cycle strength and mass loss. Not create dependency. HCG was combined with Clomiphene (Clomid) sometimes, or Clomiphene was used after HCG administration. This is because Clomiphene acts by affecting the hypothalamus and pituitary (hypophysis) and regenerating the whole regulating system, while HCG only “imitates” LH, thus stimulating the leydig cells in the testes to produce natural testosterone.